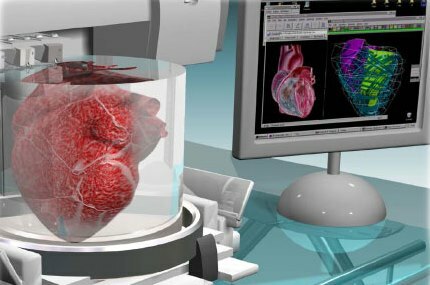 Since it’s inception, bioprinting has offered medical science and astounding range of applications, with new being added every day. 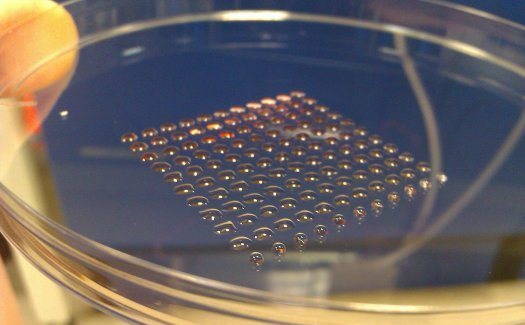 In just the past few years, researchers have found ways to create 3-D printed cartilage, replacement skin, and even miniature kidneys and livers using stem cells. And now, with this latest development, doctor’s may be able to “draw” replacement tissue as easily as they scrawl their signatures on a prescription pad. 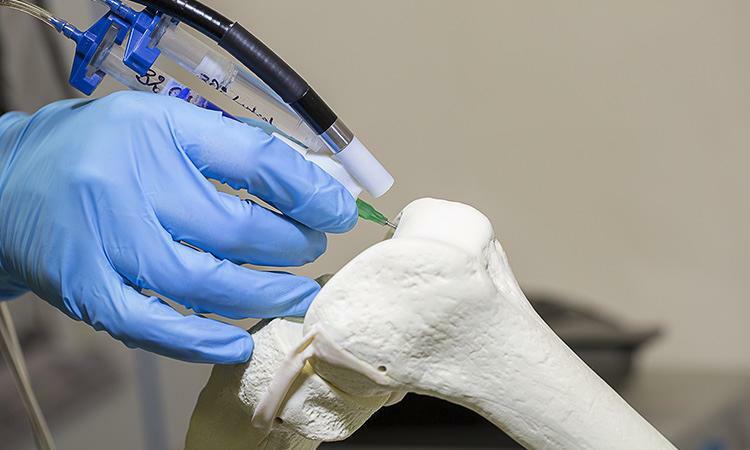 It’s known as the BioPen, a handheld surgical device that works a little like a mini-3-D printer may soon be used to help repair damaged bones. Developed by Austrian researchers, the pen allows a surgeon to draw layers of stem cells directly at the site of an injury. Much like a a 3-D printer deposits plastic one layer at a time, the BioPen deposits gel in layers to create a 3-D structure. After filling the damaged bone with the cells – mixed with a biodegradable seaweed extract to hold everything together- an ultraviolet light on the pen sets the gel in place. After the cells are in place, they multiply and eventually form functioning tissue. The device can also be used to apply growth factors to stimulate cell growth and other drugs (like cortisone) directly to where they are needed. Biology works in 3-D. The ability to provide an appropriate structural environment for the stem cells enables more effective development into the appropriate tissue. In the past, surgeons might have just injected stem cells to the desired area. But now, using the pen to build a small scaffold out of the gel, the cells can be better protected and more likely to survive. The researchers say it’s also easier to be precise with the pen in hand, and the whole process takes less time than surgeries would have in the past. To further illustrate the uses and applications of additive manufacturing, the prototype itself was built in the researchers’ lab using a 3-D printer. According to Wallace, next-generation fabrication techniques not only made it possible to easily build the pen, but they also make it possible to quickly iterate new versions of the hardware. And while their partners at St. Vincent’s Hospital in Melbourne are working on optimizing the cell material, Wallace and his team of researchers will begin conducting animal trials with the BioPen, beginning later this year. If all goes well, the device could be undergoing human trials sometime in 2015, and available in hospitals in just a few years time. And combined with other procedures that can generate replacement tissue (eyes, organs, skin), we will be looking at the age of biomedicine in full bloom!